This month’s featured WordPress theme is LiveTwit by Templatic. LiveTwit is a WordPress theme that isn’t for blogging. It’s primary focus is to make it dead-simple to create a “Twitterwall” like Helveti-Tweet or wpTweety. It pulls a live feed of data from the Twitter Search API, for whatever search term you specify, and dumps the Tweets onto the page. 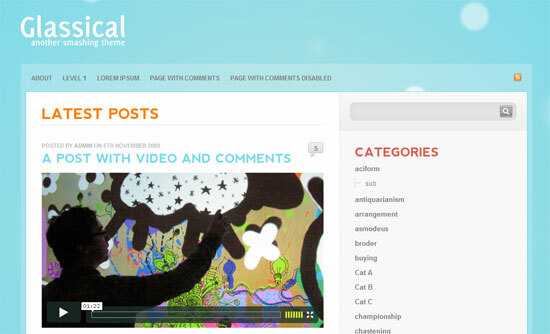 The theme includes several color schemes, and it’s easy to swap out the logo through the backend. This month’s featured WordPress theme is Glassical, once again brought to you by Smashing Magazine. Famous designer TimVanDamme designed his mini site and everyone praised it a lot for unique, beautiful concept. Usually it happens when you are really active on social media sites, you blog less. 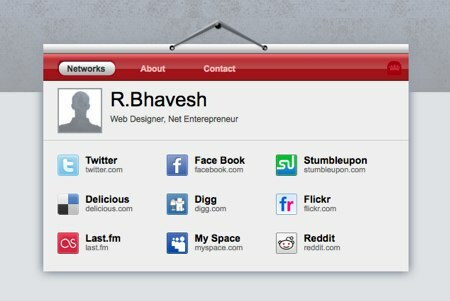 And his design was perfect solution for those who have a domain name but don’t need/want much content on the website. The concept has caught on of late, and I quite like the idea. If you’re looking to create something similar yourself, but you want a plug-and-play solution, check out the free Visiting Card theme by PremiumThemes.net. The theme puts your social media links (and links to your websites if you’re so inclined) front-and-center, while having dynamic tabs along the top for content such as an About page for contact details. Doc is a minimal one-column theme, about as minimal as you can get. Lots of whitespace, and absolutely no imagery. It’s all typography. The theme is meant to put your content front and center, with as few distractions as possible. While the concept is a bit unusual, it’s a nice niche theme. It would be well suited for use on a very word-heavy blog, such as a book review site, or an experimental blog-as-a-novel project. 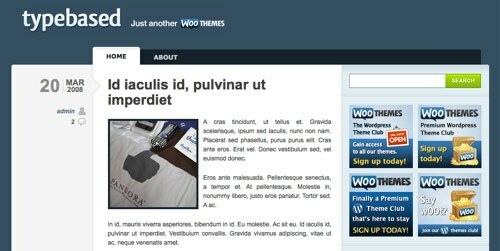 This month’s featured free WordPress theme is Typebased by WooThemes. 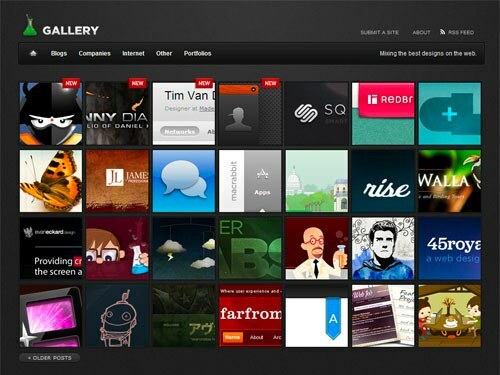 The WordPress Theme of the Month for May 2009 is Gallery, released by Smashing Magazine and designed by Christopher Wallace. 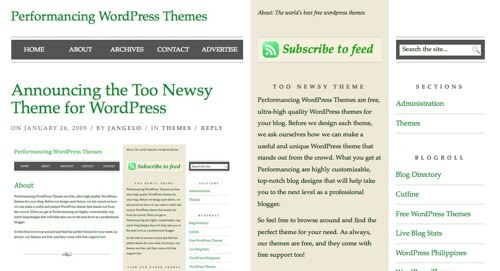 This month’s featured WordPress theme is “Too Newsy” by Performancing Themes. It is a nice lightweight theme with a professional and journalistic feel to it. The minimalism and color scheme work well together, creating a nice overall look. This month’s featured WordPress theme is “Desk Space” by Dirty Blue Media. This month’s featured WordPress theme is Annexation, released by Six Revisions and created by Chris Wallace. This month’s featured WordPress theme is Color Paper from Smashing Magazine.